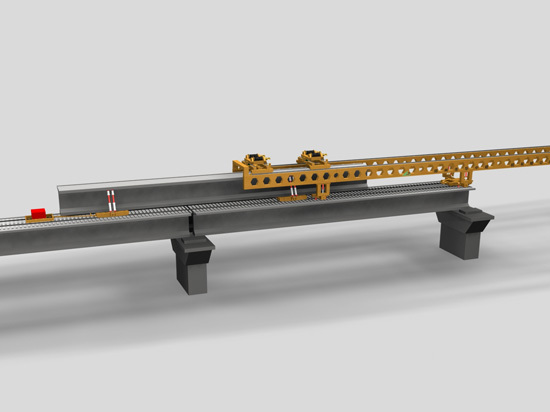 HZQ series launching gantry both for highway and railway construction is designed by our company according to the situation where nowadays railway is expanded with less base, more bridge, and bridge and tunnel connected closely. 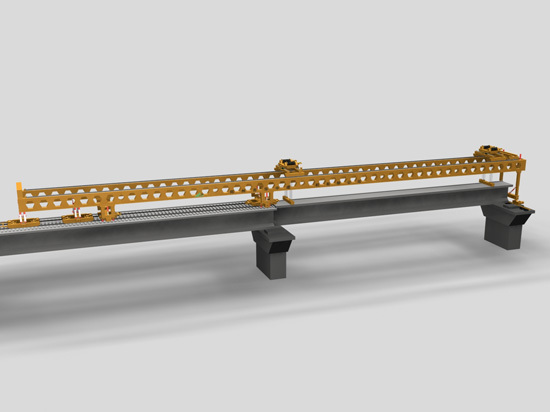 Combining the characteristics of present launching gantry at home and abroad, our launching gantry for highway and railway are quite reliable and convenient. ◆ Low height, narrow width, light weight and compact structure. 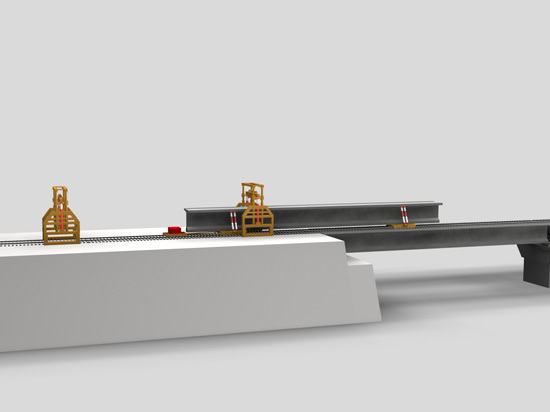 The whole set can pass through the tunnel; what’s more, it can feed girder and erect girder (lift girder) in tunnel. ◆ The length of the maximal part is no more than 10m which can meet the vehicle transportation rules. 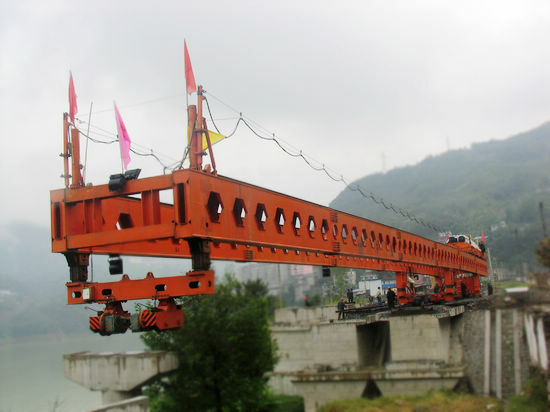 ◆ It equipped with auxiliary trolley and special gantry (gantry frame) which has complete function, it not only can erect girder (lift girder) bidirectional, but also can pave rails. 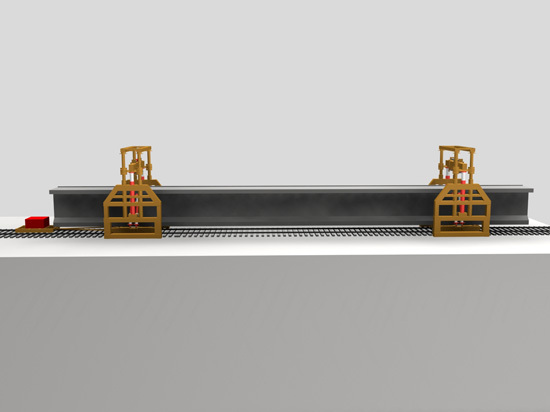 It can erect (lift) the girders of highway after it refitted partly and replaced part components. ◆ Its assembly, disassembly and maintenance are very convenient. 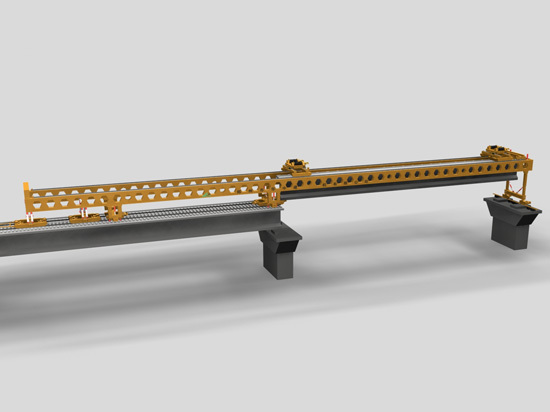 It only needs to disassemble partially when transfer site by train, the special gantry can fold and pack by itself without a hoisting machine (crane).